CHARLESTON, S.C. – Three players scored in double figures including a game-high 28 points from preseason All-Colonial Athletic Association First Team selection Grant Riller as College of Charleston held off Charlotte, 72-64, on Saturday night at TD Arena. The Cougars (7-2) extended their home-court win streak to 20 games – currently tied as the second longest in the nation. Jarrell Brantley recorded 17 points and Brevin Galloway added 12. The last four games between both schools in the all-time series have been decided in single digits and the 49ers (2-4) kept it close throughout the game. CofC led by just one at halftime, 31-30. 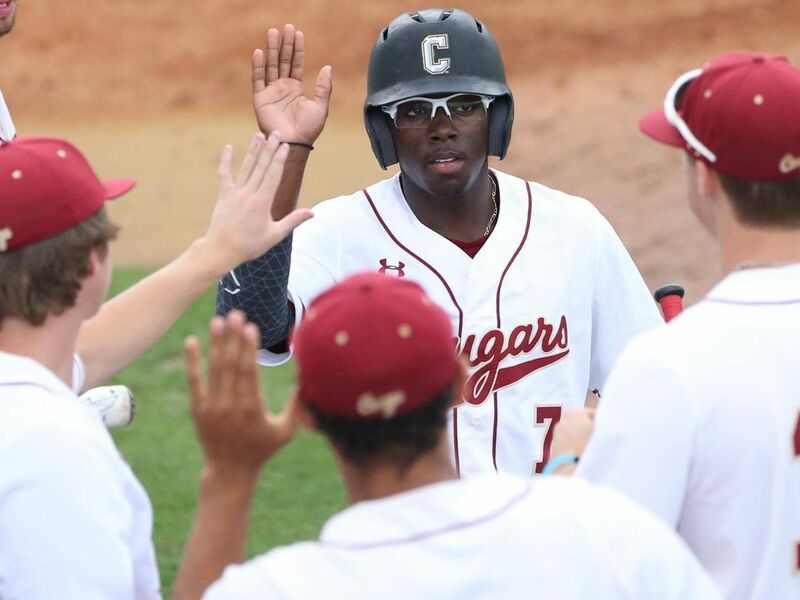 Charlotte, who came into the game holding opponents to just 64.6 points per game, couldn’t keep CofC’s offense below that average as the Cougars have now scored 70-or-more points in the last four contests. Jon Davis paced the 49ers with 21 points, six assists and five rebounds in the loss. • College of Charleston used the starting lineup of Zep Jasper, Grant Riller, Brevin Galloway, Jarrell Brantley and Nick Harris (7-2). • With the win, College of Charleston has now won five of the last six meetings in the all-time series versus Charlotte. Each of the last five contests between the two schools have been decided in single digits including the team’s eight-point victory on Saturday. The 49ers, however, still hold a one-game advantage, 12-11. • Grant Riller turned in his fourth-straight game with 20-or-more points with a game-high 28 points on a career-best 14-of-15 shooting performance from the free throw line against Charlotte. He also dished out a career-high tying nine assists with zero turnovers. • Jarrell Brantley extended his double-digits scoring streak to nine games with 17 points versus Charlotte. He also made a season-high three steals. • Brevin Galloway recorded his fifth career double-figure scoring game with 12 points on 4-of-8 shooting from beyond the arc against Charlotte. • Jaylen McManus and Nick Harris led the Cougars in rebounding with five boards each versus the 49ers. • CofC shot a season-best 85.7 percent from the free throw line making 18-of-21 attempts against Charlotte. • The win also extended Charleston’s home-court win streak to 20 games – the fourth-longest home-court win streak in program history. • The Cougars dished out 12 assists and only made a season-low four turnovers versus the 49ers.